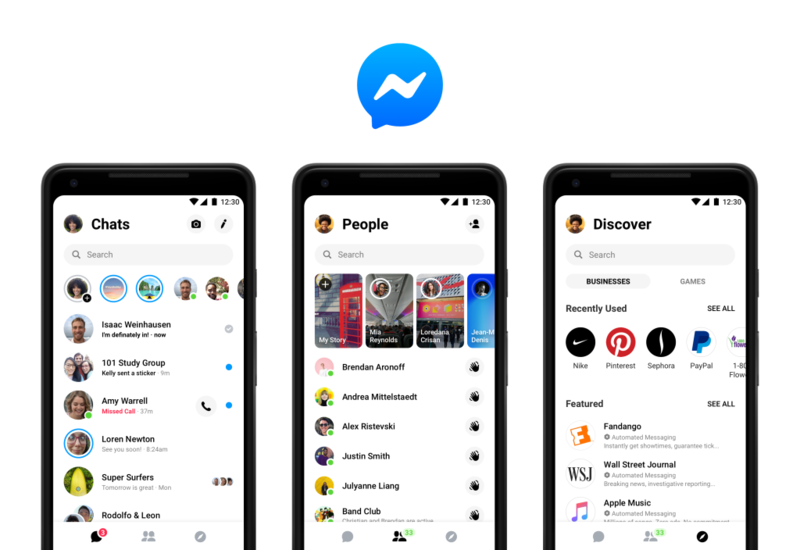 Update 11/13: After several weeks of waiting, the Facebook Messenger redesign is finally rolling out. We have multiple reports of people opening the app, which then force closes, and the update appears upon re-opening. Dark mode does not appear to be present yet. 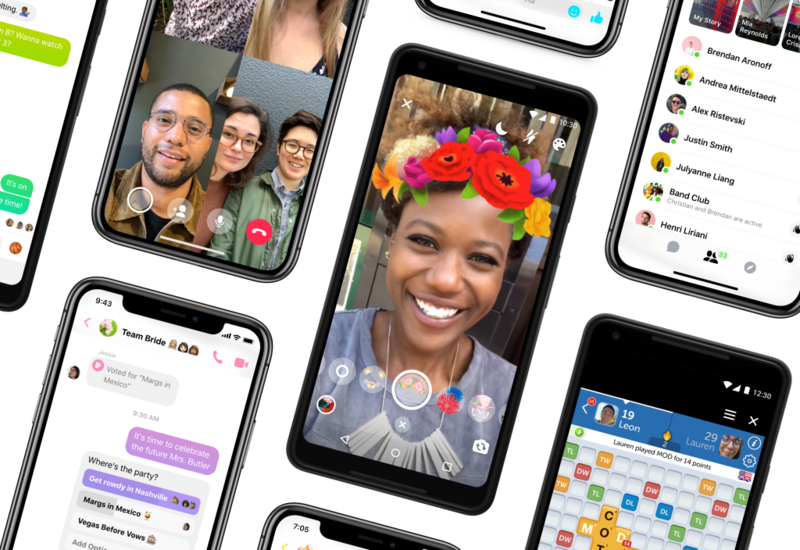 The redesigned version of popular messaging application Facebook Messenger was first announced back in May at the F8 developer convention. It is no secret that Messenger has never been RAM or battery-friendly. That is one of the bigger reasons why many people started using third-party wrappers and other alternatives. Facebook promised us they’d fix the problem, and they finally delivered. The redesign of the Messenger is now rolling out. The first noteworthy change in the redesign is that Messenger dropped most of the tabs and only kept three at the bottom. We actually saw this design already last month. The first tab is for Chats. You’ll see all your individual and group conversations here. On the People tab, you can see active friends, their stories, and meet new people. The Discover tab is for games and bots from businesses and all kinds of Facebook pages. Messenger also gained color gradients. It has been possible to change the static color of the chat for a while now. The gradient-colored chats will give conversations more character. It works just as the gradient should: you choose two colors, and it does its job. You can see the video outlining the feature below. And finally, the dark mode. As I’ve already mentioned, it was promised back in May, so it took Facebook some time to live up to the promise. Dark mode is now available and can be optionally turned on in Messenger application. It goes very well with gradient colors if you ask me. The rollout of the redesign started today and it will continue for a couple of weeks. I haven’t received the update yet, and you can’t sideload it either. The redesign is most likely a server-side change, so all we have to do is just wait. If you don’t have Messenger installed or want to check for updates, check out the Play Store listing below.